Approximately 66% of men begin to see signs of balding before they turn 35! In fact, if you’re among those 66%, then there’s 1-in-4 chance that you’ve experienced above average hair loss since you turned 21. What’s more is that by the time you turn 50, there’s an 85% chance that you’ll be suffering from the severest signs of balding if not complete baldness. You tell these statistics to most men and they’ll tell you that they don’t fall in that majority. Do you know why? It’s because, along with hair loss, most men also suffer from the Ostrich Syndrome. Most of them have such a strong emotional connection to their hair (hair loss signifies aging after all) that they refuse to even recognize the more obvious signs of balding. The fact that you’re on this page means one of two things. The first is that you’re a particularly self-aware individual and the other is that your signs of balding have progressed to a point where you just can’t ignore them. What’s also obvious is that you’re here to make sure that you’re balding so you can do something about it. That’s a very wise step. Along with looking at the most common signs of balding, however, we also suggest that you look at the causes behind those signs. It is only after you recognize the signs and know the causes that you’ll be able to do something about your problem. We do recommend reading through the entire guide to get the full picture but you can go to specific portions with the following navigation panel. What Could Be the Causes behind These Signs of Balding? What Can You Do To Prevent These Signs Of Balding From Progressing? Balding is a gradual process. This means that even if it begins as early as 21 years for some people, it can take a long time to become visible to others. However, the longer you wait to address the problem the tougher your job will be. On the other hand, the earlier you begin treatment, the easier it will be to retain your hair. The first step, though, is to recognize those early signs of balding for what they are. Here is a list of the most common signs of balding. In the majority of cases, hair loss is hereditary. This means that your earliest hint will come from your male relatives. If they’re showing signs of balding or have already gone bald, then there’s a good chance that you will also experience something similar. You should take care to pay special attention to your maternal side. Some studies suggest that the mother’s genes have a much stronger influence in terms of whether you’ll experience balding or not. Further, it’s not only the men that you need to look at. In fact, if women are exhibiting signs of balding in your family, you should be even more worried. At the same time, even if you find signs of balding in your family members, it only hints at genetic predisposition for you and not certain baldness. Genetic predisposition, basically, means that your chances of going bald are higher than others but not definite. They aren’t absolute which means that other factors also play a role. This is the most common and the easiest to spot of all signs of balding. Receding hairline afflicts both men and women as they grow older. In men, the hairline usually starts receding above the temples. The sides and the central portions of the hairline fade more slowly, resulting in an ‘M’ like shape. The hairlines recede differently in women. In the majority of cases, women retain their forehead hairlines. Instead, they’ll notice widening in the areas where they part their hair. In simple words, when the parting begins to broaden, women should see it as an early sign of balding. Since hair loss is such a gradual process, it may not be easy for you to notice a receding hairline. To get around this, you can simply compare photos. Find an old photograph and compare it to your most recent one. Try to make sure that the angle and lighting are the same in both photographs since lighting makes a huge difference in how your hairline looks. Hair shedding is a natural, normal process. It happens every day, regardless of how old you are. Typically, you can expect to lose anything between 50 to 150 strands of hair per day. However, you have a balding problem if you shed more than that for any extended period of time. This doesn’t mean that you should go about your day catching and counting all the hair strands you’re dropping. If you do, you’ll just end up adding stress to your list of problems. Incidentally, stress will increase the rate of hair loss. It’s better to just need to keep a rough idea of how much hair you’re shedding every day. You need to pay attention to three areas to see if the rate of hair loss has increased. Comb and brush: If your comb or brush has started taunting you by capturing more hair, then that is an early sign of balding. Shower and tub: If you notice more hairs in your hand or in the drain of your shower or tub, then you need to sit up and pay attention. Pillow and bed: If you notice more hair on your pillow and in your bed every morning than normal, then you should get worried. Each of these three markers is reliable but you do need to remember that the rate of shedding can increase temporarily as well. Noticing more hair one day or even a few days in a row doesn’t mean you have a chronic problem. It could be temporary. On the other hand, if you see daily increase for more than a couple of weeks or see other signs as well, you should take the problem seriously. Even though there are so many examples of receding hairlines around us, all men don’t start losing hair in the same way. There are a few that experience something called “Diffuse Thinning”. As the name suggests, diffuse thinning means gradual loss of hair all over your scalp or an area other than your hairline. In the case of diffuse thinning, balding begins from the back instead of the front. If you’re experiencing diffuse thinning then you’ll start noticing your scalp in areas where you didn’t earlier. If you spend time in the sun, you may even suffer sunburn in the scalp. The best way to check if you have diffuse thinning is to compare photographs. Since most of us don’t naturally take photographs of the back of our heads, we suggest consciously taking photographs on a monthly or quarterly basis and comparing them. There is no relation between itchiness, flakes, and irritation in the scalp and the most common cause of hair loss – male pattern baldness. However, there is a correlation between these scalp symptoms and hair loss when other causes are concerned. Itchiness, flakes, and scalp irritation are caused by overproduction of sebum. Sebum is basically oil that the body creates to moisturize skin and scalp. Imbalance in sebum production can result in the skin and scalp becoming itchy and irritated or developing flakes. Too much sebum production results in deposits of the oil itself while too little causes dry skin flake deposits. Both types of deposits can clog up hair follicles preventing sufficient nutrition from reaching them. Over a period of time, this nutrition deprivation can result in the hair follicles either going into the dormant state or dying altogether. Naturally, this causes hair loss and balding. Other causes for an itchy, flaky, and irritated scalp are psoriasis, seborrheic dermatitis, and ringworm infection amongst others. These problems, if untreated also end up causing hair loss. Your hair is always maintaining a balance between natural shedding and natural growth. Both the growth and shedding rates come from your hair follicles. If your hair follicles are affected, it will not only lead to an increase in hair shedding but also a significant slowing of hair growth. Therefore, a slowdown in hair growth can also be considered to be an early sign of balding. The only reason this sign isn’t cited commonly is that it is very difficult to identify. There is, in fact, no convenient quantitative way of figuring out the rate at which your hair has grown in the past vis-à-vis now. However, if you start suspecting that your hair isn’t growing at the same pace as it used to when you were younger, it’s possible that you’re balding. If you suspect a slowdown, it is time to explore if other symptoms have also manifested. Hair loss isn’t always gradual. Sometimes, it is drastic and dramatic where you lose your hairs in clumps, patches, and handfuls. This is very rare, however. In fact, it only happens when there is a strong, external physical or mental shock. When physical or emotional trauma causes hair loss, there is usually no pattern to it. The hair loss can occur anywhere or everywhere on the body. Further, the hair could come loose by itself or with gentle pulling. Also, this kind of hair loss usually doesn’t leave bald patches and causes thinning instead. The nature of the trauma varies but medical conditions and medication are the usual suspects. The best example of this type of hair loss is chemotherapy or side effects to some other treatment. The above signs of balding will reveal to you whether you should be worried or not. However, they will not tell you how to deal with the problem because those signs are only symptoms. In order to slow down hair loss, you’ll need to figure out the root cause. There are mainly five causes for balding, Consider. This is the most common reason why men and even women go bald. It is a genetic condition that usually travels down the maternal side of the gene pool. Male pattern baldness is connected heavily to the hormone testosterone. Excess testosterone results in the creation of another male hormone called Dihydrotestosterone (DHT). When DHT attaches itself to hair follicles and causes inflammation, it hinders normal hair growth. This inflammation causes hair follicles to become dormant or go into the resting phase. The direct outcome of this is hair miniaturization. Hair strands gradually become shorter up until they disappear entirely i.e, are unable to break through the scalp. Alopecia has other forms as well but they’re not as common as male pattern baldness. All of them, however, are genetic autoimmune conditions even though it is tough to track the responsible genes through a family. Alopecia Areata: Hair falls in patches off the head. Alopecia Totalis: Hair falls in patches off the face and head both. Alopecia Universalis: Hair falls in patches all over the body. Nutrition plays a major role in hair loss and balding. This is true even for people suffering from male pattern baldness. Male pattern baldness is only a genetic predisposition, however. If an individual leads a healthy life based around holistic lifestyle and nutrition, then the onset of Androgenetic Alopecia could most likely be put off. However, this isn’t very common. Most people have some kind of a nutritional deficiency at any given point in time. When the deficiencies become severe and exist over a prolonged period of time, they can cause hair loss even if there is no chronic condition or genetic predisposition in play. When we say indirect external influences, we’re talking about health conditions and diseases. Infections caused by ringworm and seborrheic dermatitis or immunity related health conditions such as psoriasis can all cause hair loss and balding. Hair loss can also be caused by physiological and hormonal imbalances or even temporary mental or physical stress. Further, medications and treatments can cause hair loss and balding. The best example of this is chemotherapy, some antibiotics, and even some hypertension medications. The resultant hair loss can either be temporary or permanent. Hair loss occurring from such indirect external influences can be grouped into two categories – Telogen Effluvium and Anagen Effluvium. Cases of hair loss are grouped in one or the other category on the basis which hair growth stage is affected. The most common type, though, is Telogen Effluvium. It can occur weeks or even months after medication has stopped. Chemotherapy related hair loss is an example of Anagen Effluvium. If you’ve identified the signs of balding and pinpointed the causes, you’ll be looking into what you can do to reverse them or, at the very least, slow them down. What you can do depends entirely on the severity of your problem. Ideally, we recommend going slow i.e, trying lifestyle changes and natural methods before going for the more nuclear, artificial options. Here are some suggestions. Believe it or not, how you live your life affects your overall health and hair quality is included. Getting enough rest and eating the right foods may seem very obvious but you’ll be surprised by the number of people who don’t pay attention to these things. For example, stress and loss of sleep are anecdotally proven to slow down hair growth. There are even some studies that have found a relationship between stress levels of people and hair loss. Similarly, the type of food you eat will have an impact on your hair health. The hair products you use will also have an impact. Certain shampoos can be a bit too harsh on the hair, resulting in hair loss. The same holds true for styling products. 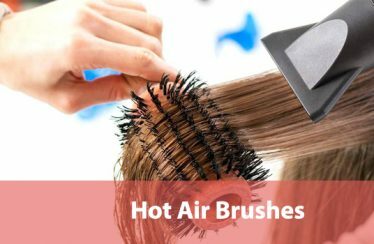 If you straighten or curl your hair on a regular basis then heat damage will make your hairs more susceptible to shedding. Making lifestyle changes and dietary improvements can make a huge difference on not only the speed with which you lose hair but also the appearance of the hair you’ve not lost yet. While living healthy and eating right will help greatly, you can augment these improvements even further with some natural therapies and remedies. Applying essential oils to your hair and scalp regularly is the foremost of these. It helps in two ways. You protect your hair from the elements and you give your follicles access to even more nutrients. There are a number of natural essential oils you can use. Peppermint Oil: Studies have proven that peppermint oil has properties that facilitate hair regrowth. In fact, peppermint oil has proven to be a match for even Minoxidil when it comes to encouraging hair regrowth. An added quality of peppermint oil is that it improves blood circulation in the scalp, which results in the tingling feeling most users covet. Rosemary Oil: Rosemary oil’s cellular regeneration properties can be beneficial in combating signs of balding. One study showed that rosemary oil prevents DHT from bonding with hair follicles which is one of the main causes of balding. In another study, it proved to be as effective as 2% concentration of Minoxidil. Cedarwood Oil: Cedarwood oil, by itself, will balance sebum production in the scalp. This oil’s true qualities, however, come through when it is used in conjunction with rosemary and peppermint oil. A study showed cedarwood oil to be particularly helpful against alopecia areata. Lavender Oil: Lavender oil has natural antimicrobial properties which prevent and combat infections. It is also proven in clinical trials to boost the speed of hair growth by increasing the number of hair follicles and improving their health. Tea Tree Oil: Tea tree oil is a naturally occurring cleansing agent that also prevents infections and inflammation. Various studies have proven its efficacy in various ways. One proved that a combination of tea tree oil and Minoxidil has greater hair growth properties than either of the components alone. Natural treatments can only help hair loss and balding problems so far. When the problems are severe, stronger treatments are needed. The two most popular artificial, Over-The-Counter (OTC) methods for countering balding are Minoxidil and Finasteride. Minoxidil: You’ll note that Minoxidil is used as a benchmark when it comes to hair loss and balding. Minoxidil primarily works by improving circulation in the scalp and ensuring that hair follicles receive enough nutrition. While its effectiveness isn’t exactly 100%, Minoxidil has been proven to be very useful against hair loss by a number of studies. One 1990 study showed short term as well as long term effectiveness of Minoxidil against male pattern baldness. Further, another more recent 2016 104-week trial backed the positive findings of that study. Finasteride: Finasteride has a different mechanism but it is as effective against balding as Minoxidil. It works by removing excess DHT from the scalp and, thus, preventing them from binding the hair follicles. Finasteride can remove anything between 60 to 75% DHT from the scalp. Finasteride is unequivocally proven to be effective against balding by elaborate, long-running trials.